Google and Canonical has been developing a new operating system, previously you needed to build it upon an Ubuntu machine and it was hectic. Recently we spotted the UNOFFICIAL Google Chrome OS. Its not developed by Google but by some other independent developers. With the Google Chrome OS getting delayed we have another Chrome OS which can be given a tried. It is said to be build on the same rules and framework. 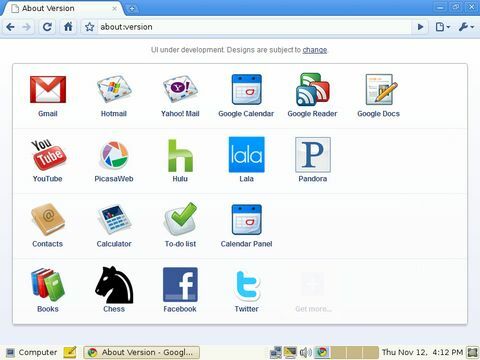 * Google Chrome 7.0.517 web browser Updated! * Flash Player 10.1 plugin Updated! Download Chrome OS Live CD and give it a try! Their are options of downloading the OS with a torrent client or just downloading it directly.